Someone took a photograph of a priest at the consecration during the Holy Mass. 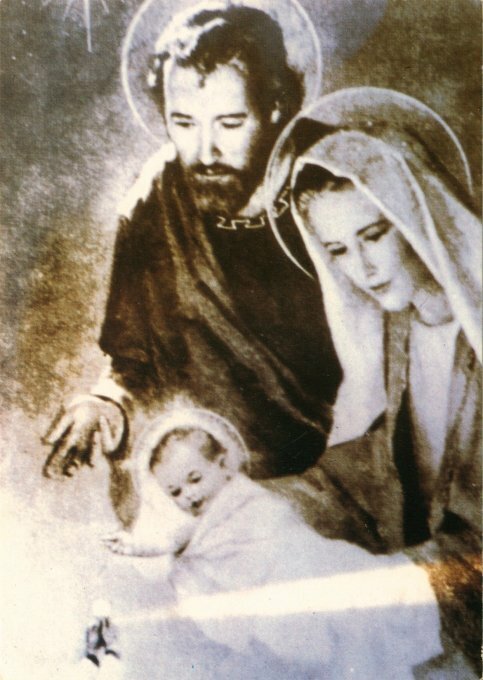 When the film was developed, this image of the Holy Family was present. Because I doubted this explanation, I sent the photos to a person in Italy near Rome who was endowed with special graces of discernment. The response I received was that the image was indeed authentic. "It is not important from where or from whom the picture originates. No one should take credit for that. With this picture I want to bring aid to the world... It is the family of Nazareth. It is very precious, so as to take it into families; it brings My blessings. With it come faith, prayer and My presence. I, Myself, come with it into the home... "